Fifth grade students at Watkins Elementary School in southeast Washington, D.C. got the surprise of their young lives earlier this month when First Lady Michelle Obama swung by their school unannounced. The visit kicked off her spring garden tour, celebrating the seventh anniversary of the White House Kitchen Garden, part of her Let’s Move initiative. Mrs. Obama joined right in with the cooking session already in progress, helping to make corn tortillas from scratch using beans and squash. Yes, Mrs. Obama said, she does know who Joe Biden is. Next up was another surprise visit, across town at John Burroughs Elementary. Upon entering the classroom, a boy raced to the First Lady and gave her a hug. She then sat down with the students to dig out earthworms from compost. The White House Kitchen Garden was first planted in 2009 on the South Lawn of the White House. Elementary school students have always been an important part of building and maintaining the garden. Bancroft Elementary School students participated in the groundbreaking. They planted 55 varieties of vegetables, according to the New York Times, including cilantro, hot peppers, Thai basil, lettuce varieties, and a berry patch. Mrs. Obama continues to regularly invite local elementary students to the White House for planting, harvesting and cooking. 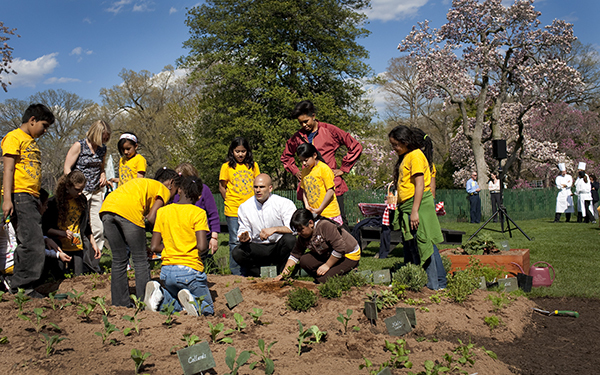 Want to bring the First Lady’s gardening initiative to your school? Check out the School Garden Checklist on the Let’s Move website. 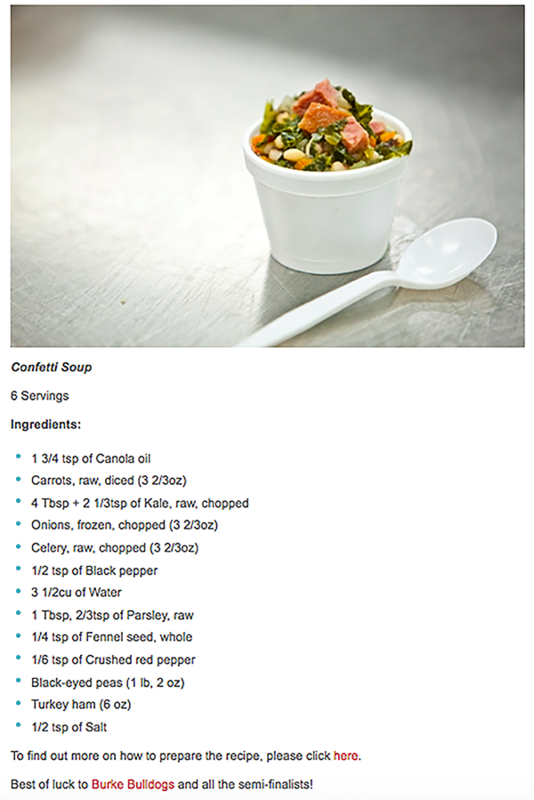 Then gather your students for a healthy cooking lesson by whipping up these healthy recipes from the White House Kitchen.